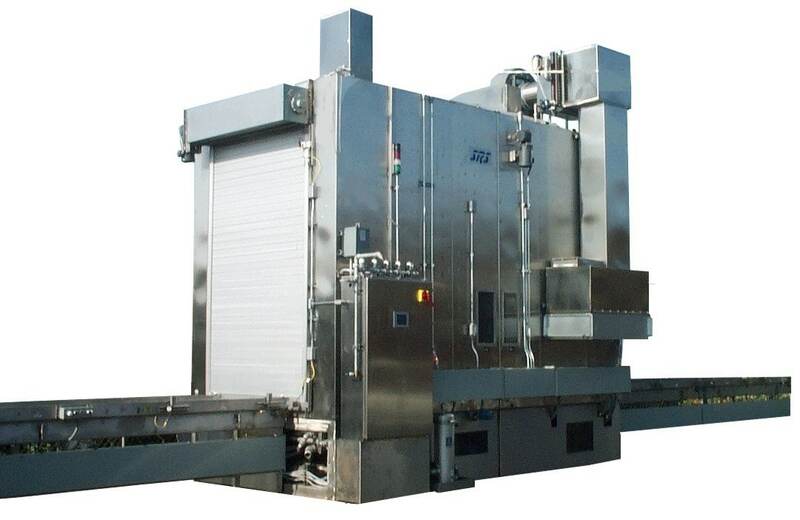 Automatic Tote Washer and Dryer with Indexing Conveyors for High Volume Cleaning Applications. 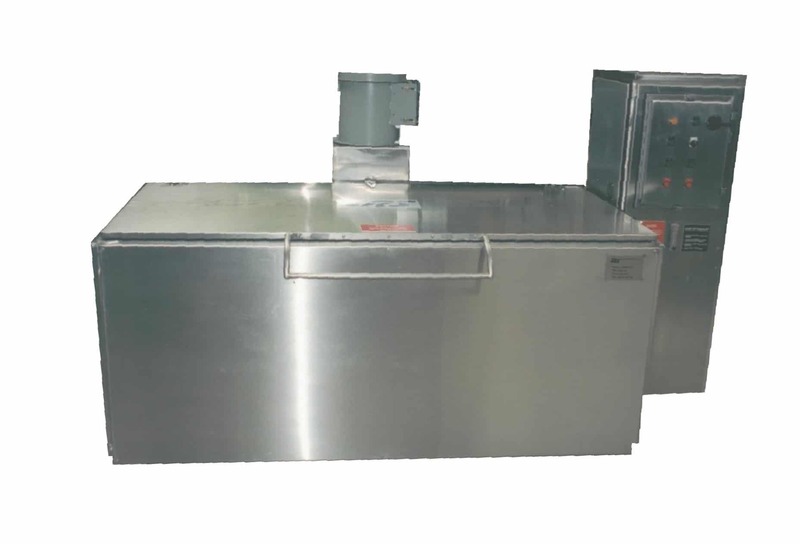 The CTW-Series is a totally automated tote washer for the food, pharmaceutical or chemical manufacturing industry. 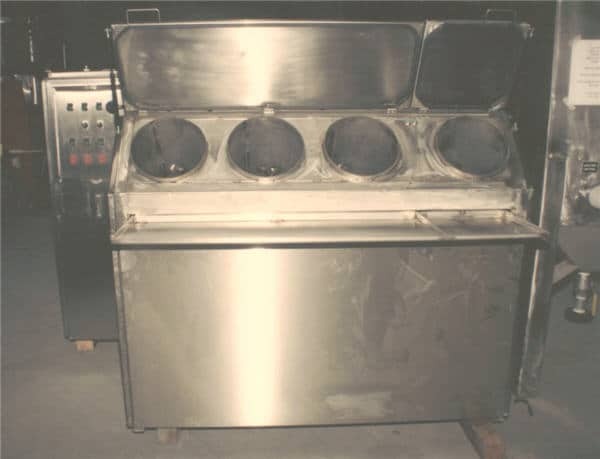 The system is designed to wash and rinse containers with a suitable wash solution before going through a drying chamber. 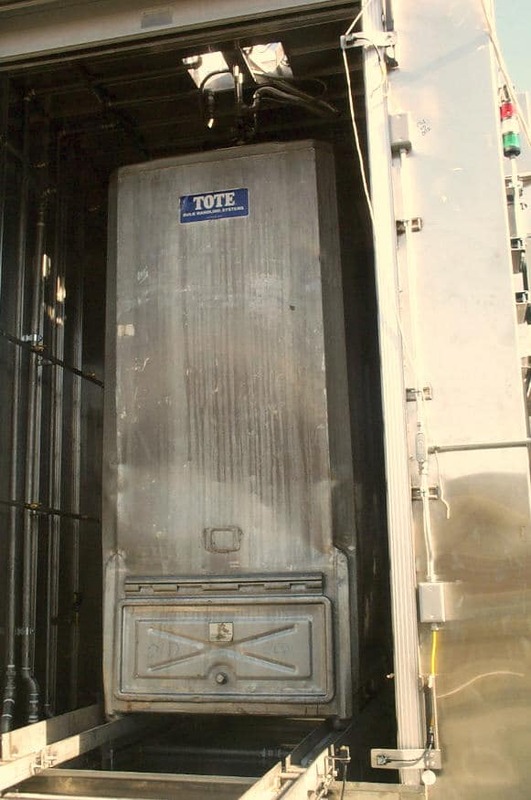 Totes are loaded onto an automated conveyor system, equipped with position sensors and moved through the entire cycle without manual intervention. Additional Images Below. Click to View Larger. 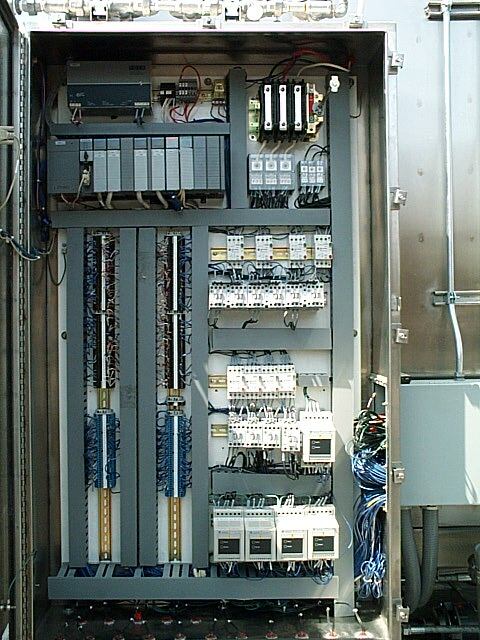 SRS solvent distillation systems are equipped with a programmable logic controller (PLC) housed in a NEMA 4X enclosure. The PLC monitors a series of sensors to verify proper liquid levels, flows, temperatures and container position before starting and executing the cycle. Any fault condition is diagnosed and clear status messages are displayed on the controller panel to ensure operator safety and ease of operation. The system automatically shuts off in the event of a fault condition or at the end of the cycle. Stainless steel is used throughout the CTW-Series system, for optimal endurance, corrosion resistance and appearance. 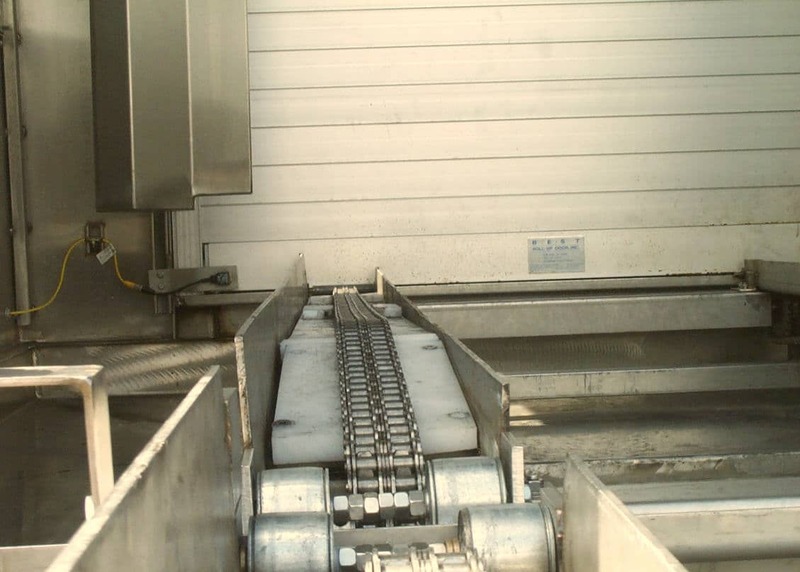 A chain conveyor system ensures positive contact with the containers for a smooth and continuous movement throughout the system. 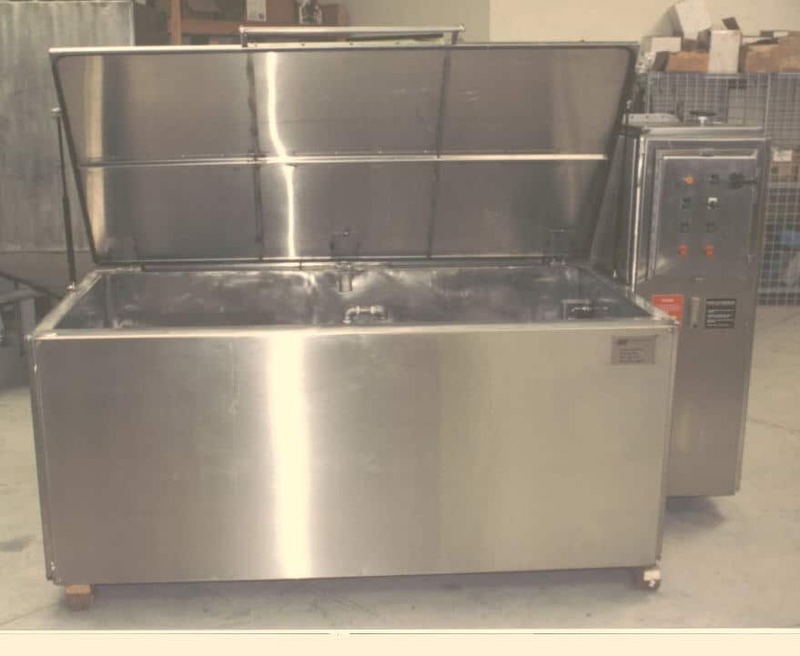 The WB-100 is an enclosed wash bath and automatic solvent system for special cleaning applications. This system includes wash pumps to constantly flow solvent over and through items to assist in the most demanding cleaning applications. 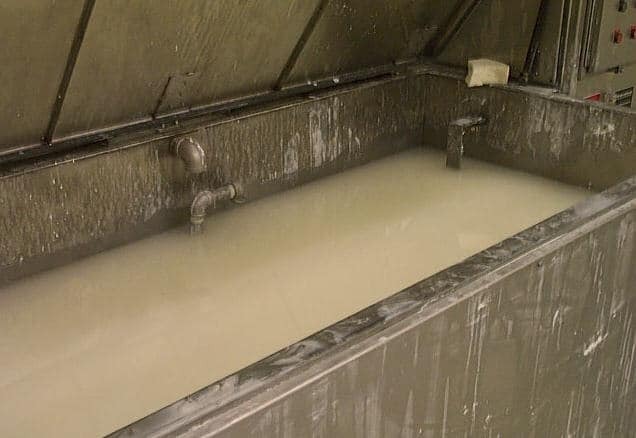 The system is equipped with controls which allow the operator to automatically return spent solvent to the wash solvent supply source and refill the bath with clean solvent as needed. The SWB-100 can be fitted with racks and manifolds suitable for applications where pumps and hoses require special handling. Stainless steel is used in the construction of all SRS wash bath systems for optimal endurance, corrosion resistance and appearance. 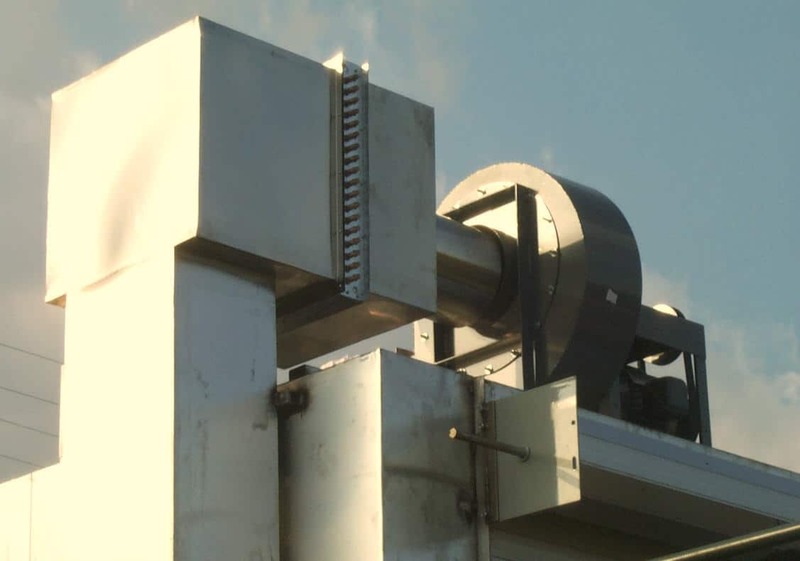 These systems are typically installed with vapor recovery systems and are suitable for all explosion resistant Class 1, Division 1 environments. 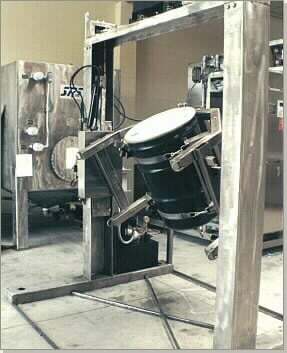 The DTT-12 is a versatile container tilting system suitable for drums and tanks of up to 1,000 pounds. A conveniently adjustable cradle and fastening mechanism with adapt to any size container. 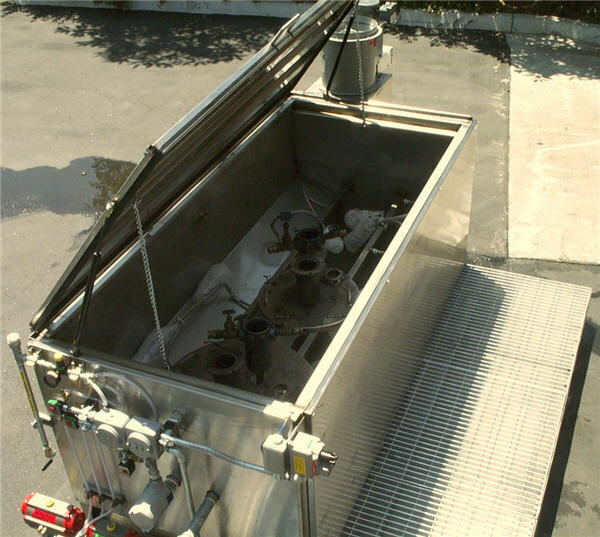 This system is designed to invert containers such as drums and tanks with no bottom drains. 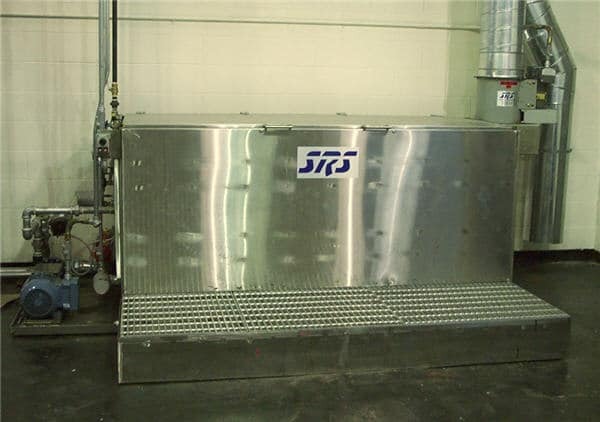 SRS Designed Equipment is the leading manufacturer of methanol recovery systems, solvent distillation systems, biodiesel plants, drum washers, drum crushers, aerosol can crushers, storage tanks and high quality industrial equipment. Custom solutions are also available for a wide variety of industrial processes.